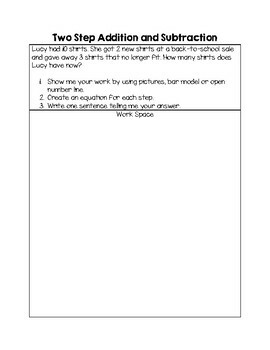 Great introduction to addition and subtraction problems. 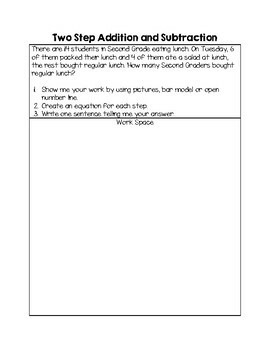 Asks student to show their work by using pictures, bar model or open number line. Students then create an equation for each step and write one sentence telling their answer. Give large workspace. Five total problems.